What will the installation cost for my PlexiDor be? Installation costs will vary, depending on where you want the door installed and what type of door or wall you have. When talking about wall installations, unexpected snags such as electrical outlets, plumbing, air ducts, wiring, and similar can also affect the price. If you intend to install your pet door through a wall, it’s a good idea to choose a backup location, just in case your first choice reveals something inside the wall that can’t be moved. Getting a PlexiDor installed in a house door usually ranges between $200 and $350. Having the PlexiDor installed in a house wall usually ends up between $400 and $1,600 depending on the wall material. Wood studs are lower cost than concrete walls – they are easier to handle and the installation will be faster. Use our Find a Dealer Tool to locate a dealer near you. 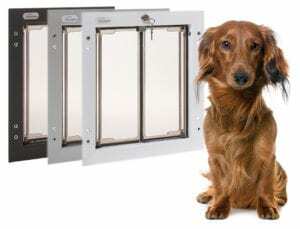 The PlexiDor dog doors and cat door are available for door or wall installation. 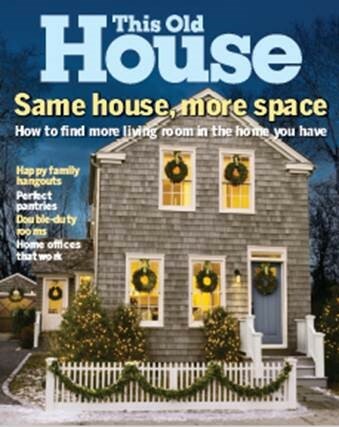 On the linked episode of This Old House, starting at 16:00, they install an extra large PlexiDor Wall Series door for the homeowner’s Newfoundland.